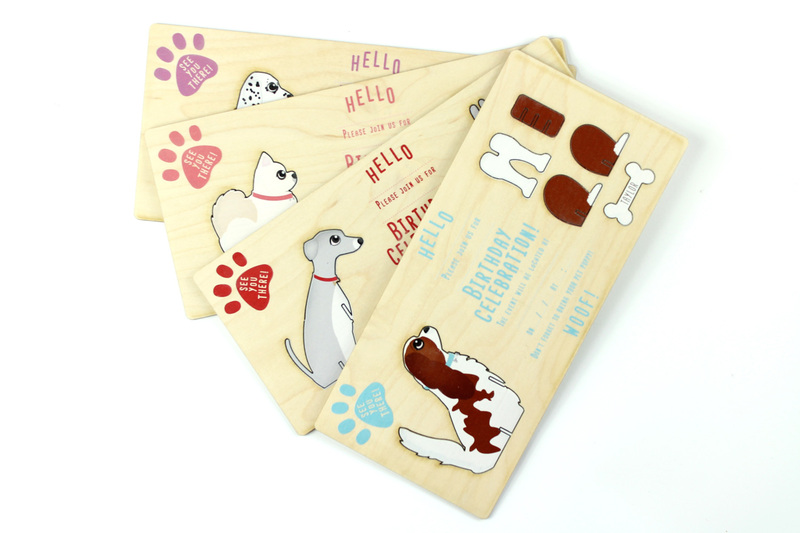 Fed up with generic, boring paper invites that you see in any stationers across the country? 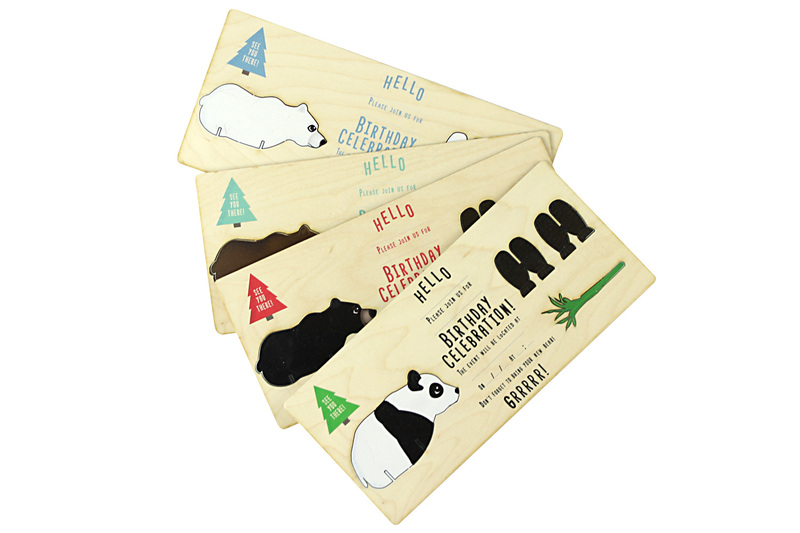 Can’t find the right invitation for your party? No Problem! Contact us and we may be able to bring your idea to life. Organising a children’s party can be a challenge in itself, trying to get everything arranged and keeping the children happy. 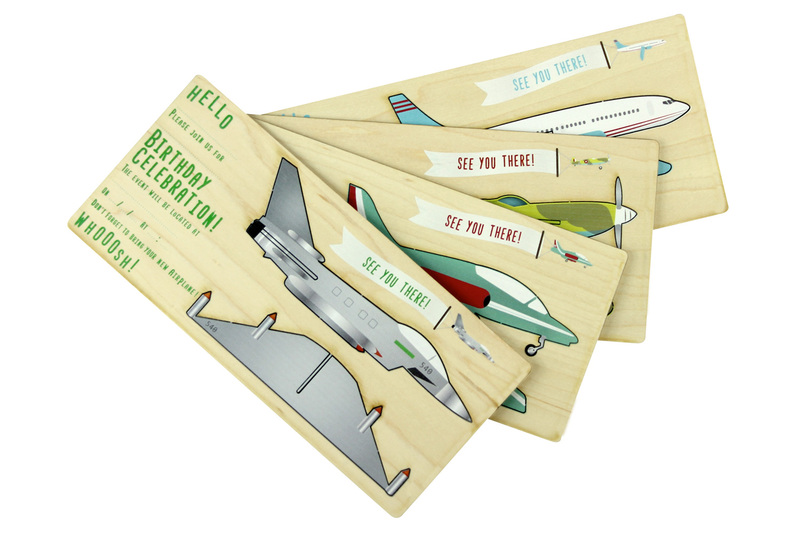 Well with WoodenVites, grab their attention right from the outset with these fun ‘character’ invitations. Dinosaurs don't have to be scary. Just look at these little cuties! Meet ‘Harry’ the Basset Hound, ‘Sven’ the Husky, ‘Cooper’ the Golden Retriever and ‘Bruce’ the Bulldog. At last! You can have your very own pony or unicorn for your birthday. 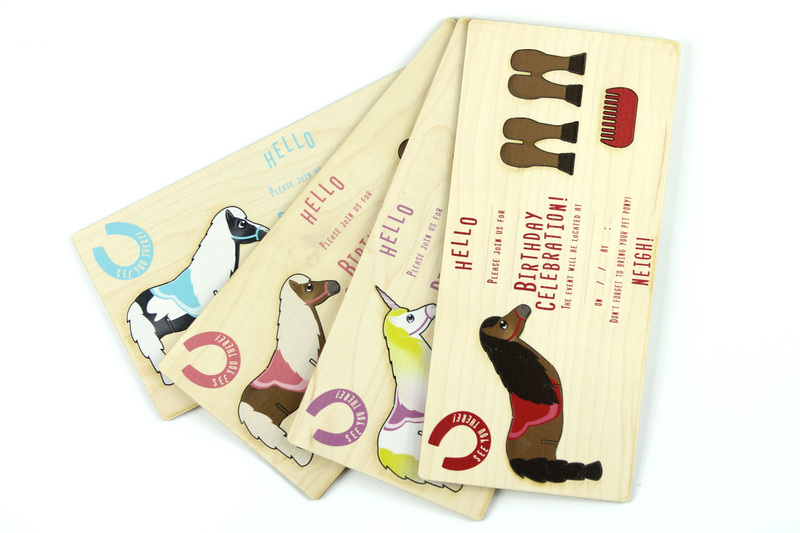 Parties are all about fun, so what we love the most about our wooden invites, is that the fun starts right from when they are received. 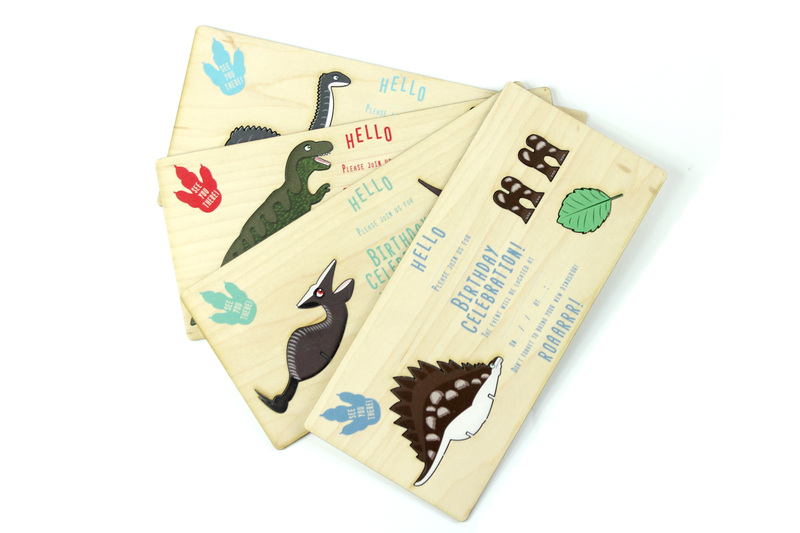 These unique children’s party invitations are made from sustainable maple wood and are fun to send out and fun to receive, creating a real buzz for your party before it’s even started. 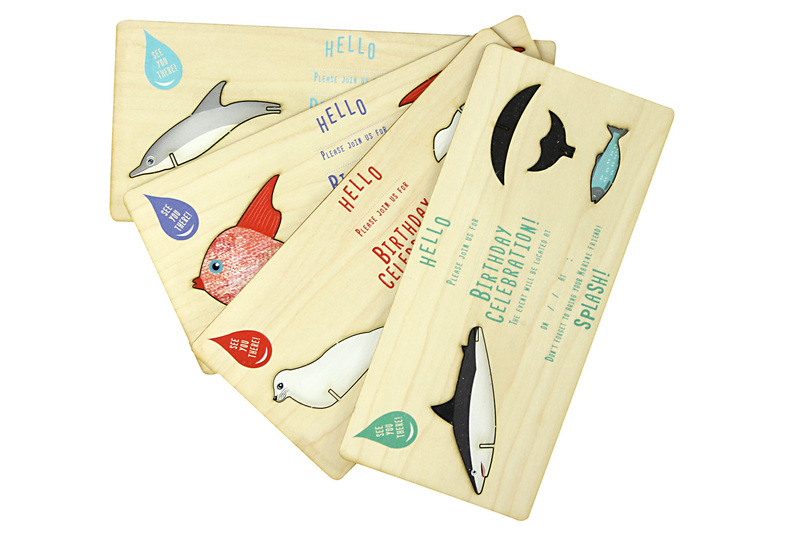 Designed and produced in sunny Devon, our children’s party invites – WoodenVites – definitely gets the party started. 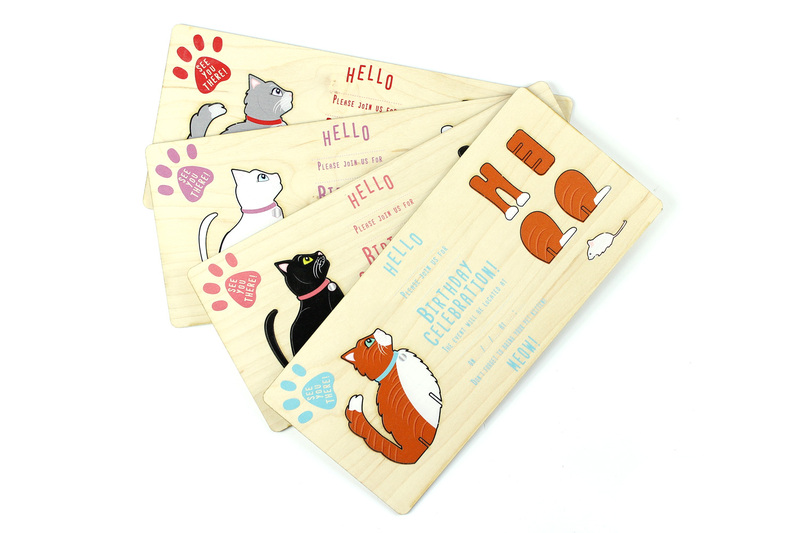 The wooden, pop-out designs are great for setting a party theme, or as a keepsake of the special day, either way, you can be sure that these invites are going to be talked about for weeks. 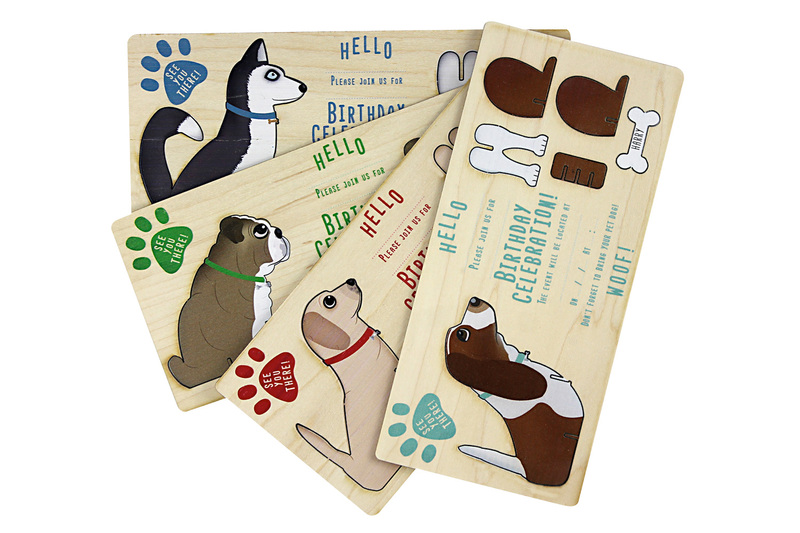 We have designed a whole range of styles and can even design a range just for your party. If you can’t find what your after – Just give us a call.